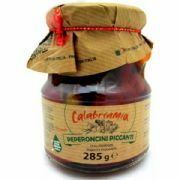 Extra virgin olive oil with chilli (Olio al Peperonconi) - a high quality flavoured Italian extra virgin olive oil produced following a natural method, simply crushing ripe olives and fresh Italian hot peperoncini chilli peppers together, without adding flavourings or concentrates. 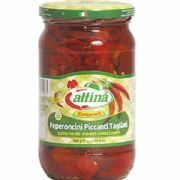 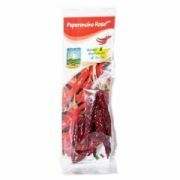 Recommended for flavouring pasta sauces, vegetables, soups, pizzas. 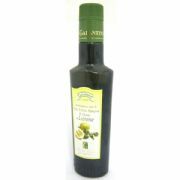 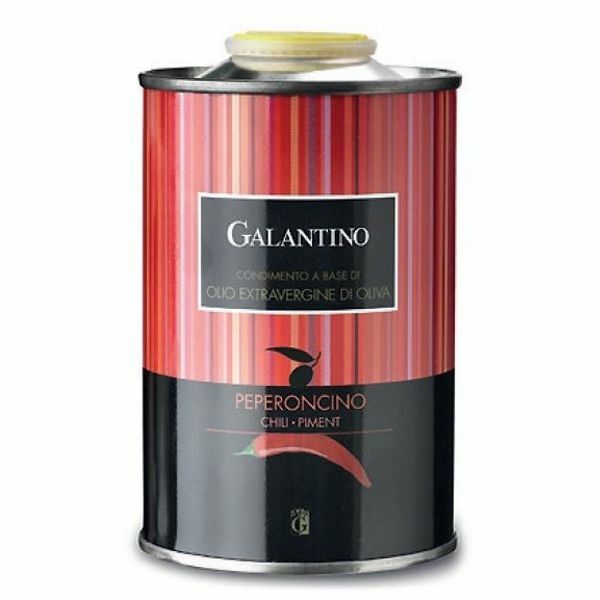 The Galantino family have been producing extra virgin olive oils since 1926 and their oils are Slow Food approved. 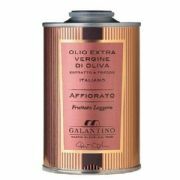 Their olives are grown on their 47 hectare estate of olive groves, providing for as far as the eye can see, a green expanse of over 15.000 Ogliarola and Coratina olive trees. 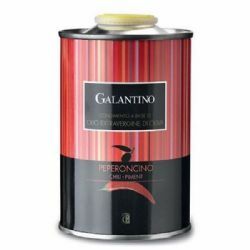 The olives are harvested from mid-October to the end December each year, when they are at perfect stage of ripeness, following the time-honoured technique of hand gathering by shaking the branches of the olive trees so that the olives fall gently onto canvas “hammocks”. 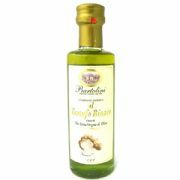 The result is a fine quality Extra virgin Olive Oil that has the very best organoleptic properties.